Lithium Australia is undertaking a feasibility study as it progresses further into its large-scale pilot plant (LSPP) development plans. The process is expected to be complete in March 2019. Company managing director Adrian Griffin revealed there was strong interest in the battery technologies it was currently developing. Noting the rich endowment of lithium and other battery elements in Australia, Griffin told Proactive Investors, “The maximum leverage you get is the conversion of lithium and other metals in the cathode powders. 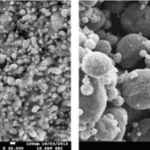 Lithium iron phosphate (LFP) produced by the company at its Very Small Particle Company (VSPC) Brisbane plant will be ready for testing by Chinese major battery makers in the coming week. Griffin added that Lithium Australia did not receive an open-ended rebate for clinical trials of lithium carbonate, which is precursor to manufacturing lithium-ion battery cathodes. All industries, except the biotech sector, are entitled to $4 million research and development (R&D) rebates from the Federal Government per year. 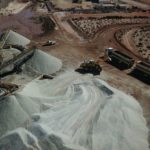 Is Australia hurting its lithium opportunity?